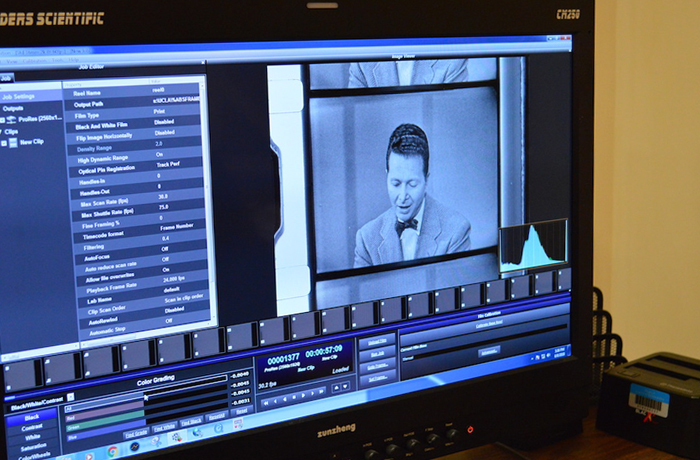 His quest led him to the Archive Research and Study Center (ARSC), which coordinates access to UCLA Film & Television Archive's vast moving image holdings, including more than 160,000 television programs. Among these is a 16mm kinescope of Draw to Win (1952), a short-lived picture charade show that was filmed in New York for CBS. Panelists tried to identify people, objects and slogans depicted in a cartoonist's sketch. Home viewers submitted their own ideas and were rewarded with $25 if they were able to stump the panelists. 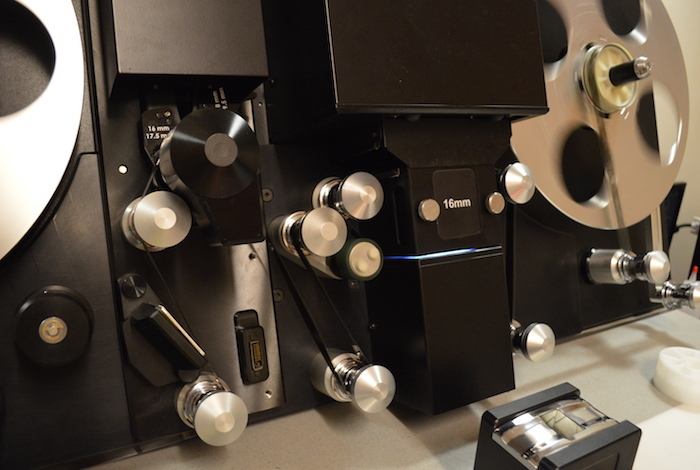 “When a research request comes in, the film is pulled and prepped before a digital copy is made,” says Randy Yantek, the Archive's Digital Lab Manager. 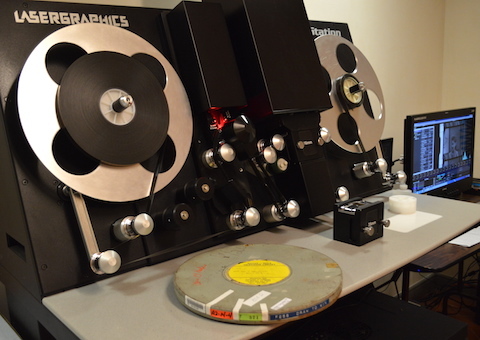 “This 16mm kinescope of Draw to Win was shrunk over 1% and has vinegar syndrome, so scanning was the only real option.” A Lasergraphics ScanStation was used to create a 2K resolution scan of the 16mm film. “In the digital lab we tweak and define the contrast, the black and white levels and any color levels, and make them as true as possible to the original broadcast,” explains Yantek. Finally, a DVD of Draw to Win will be available for viewing by appointment at the Archive Research and Study Center. As a non-profit organization, the Archive depends on the support of grants, foundations and individual donors. Learn about how you can make a contribution to the Archive Research and Study Center here.